Is Failure OK in Home Care Innovation? 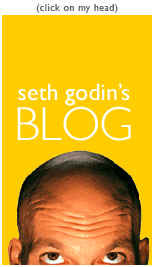 One of the bloggers I enjoy is a guy named Seth Godin. He has a great skill for making a compelling point in just a few words. Often when I share an article or research with you, I try to give an executive summary or perhaps share a few of the most compelling key points, but in this case I share the full article with all credit (and links) to Seth Godin's blog. Not all failures are the same. Here are five kinds, from frequency = good all the way to please-don't! The thing is, in their rush to play it safe and then their urgency to salvage everything in the face of an emergency, most organizations do precisely the opposite. They throw their customers or their people under the bus ("we had no choice") but rarely take the pro-active steps necessary to fail quietly, and often, in private, in advance, when there's still time to make things better. As we at Ankota strive to innovate, we're never afraid to make mistakes early in the process so that we can get things right when we make promises to our customers and to the industry. And as we've shared, we are dedicated to working with the industry to pioneer new and better ways to deliver care. If you have some ideas and want to partner with a software company that enables your innovation rather than slows you down, let us know - even if you're afraid that your innovation might fail. Social Media note: In the world of blogging, it is generally acceptable to borrow from articles and blogs of others, but the key is to give credit and provide links into the originating blog. When I borrow from another home care blog, I get permission first, but in the case of a large blog like Seth Godin's blog, I just go for it - making sure to give credit. It's like a "retweet" but bigger.